Today’s deals include $2 book deals, and Mother’s Day savings on Kindles, the Kobo Glo HD e-reader and deals on Fire tablets, including the 7″ Fire for $40. Amazon’s selection of Kindle Daily Deals is showing the same deals as yesterday, so here are 50 Kindle Book Deals for $2 Each to peruse. Today’s Deals include a Sun Joe SPX3000 2030 PSI 1.76 GPM Electric Pressure Washer, 14.5-Amp and a Mr. Coffee BVMC-DMX85 12-Cup Programmable Coffeemaker. 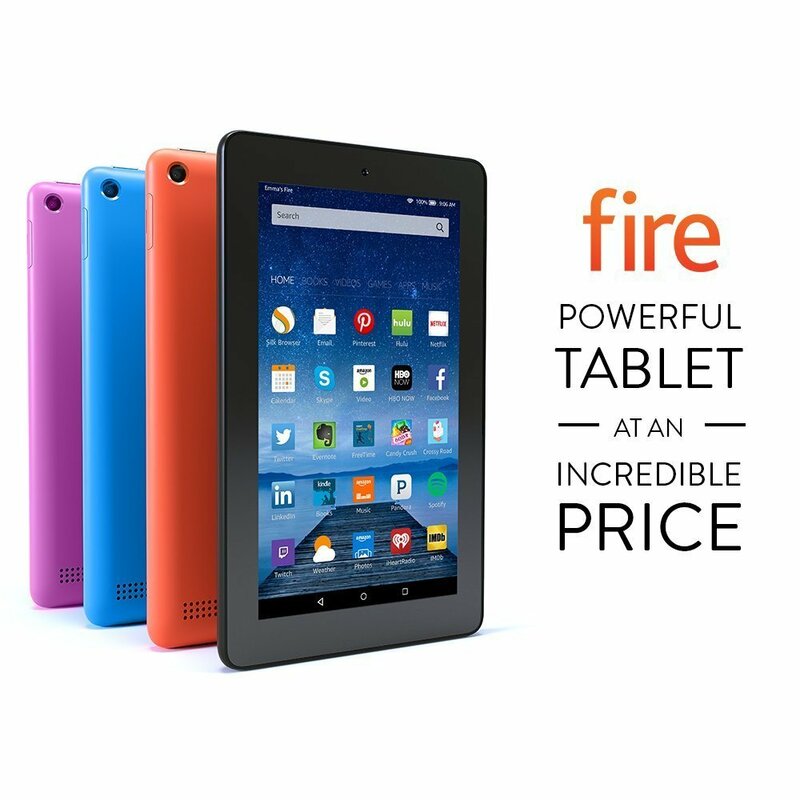 There are several promotions on Fire tablets. Today, the 7″ Fire (normally $49.99) is only $39.99. Amazon is also offering savings on the Fire HD 6 (8GB and 16 GB versions) and the Fire HD 10 is $50 off for a limited time. There are also still deals on pre-owned Fire tablets. You can also take advantage of a trade-in offer from Amazon on your old Fire tablet. The clock is ticking on this offer. Trade-in must be completed by May 9, 2016. The Barnes and Noble Nook Daily Find is All She Ever Wanted by Lynn Austin for $1.99. The Romance Daily Find is Forgetting August by J.L. Berg for 99 cents. Kobo’s Daily Deal is Coldheart Canyon by Clive Barker for $1.99. And for Mother’s Day, you can get $20 off the Kobo Glo HD. Free shipping is included. iTunes’ Weekly Bestsellers Under $4 includes The Faithful Spy by Alex Berenson for $1.99. Google has a selection of Limited-Time Deals.